Li Yen at Ritz-Carlton Hotel Kuala Lumpur boasts an extravagant decor, good food and an impressive menu, which can cost quite a bit if one isn’t careful with his order. I was told that by my former boss, who had a deep appreciation for good food. For those who own a Standard Chartered credit card, you can enjoy a special menu priced at RM888++ for 8 pax, at 8 different locations, prepared by 8 award winning chefs. That to me, is quite a good deal — and I was invited to sample this special menu at Li Yen thanks to Tim & Meena. 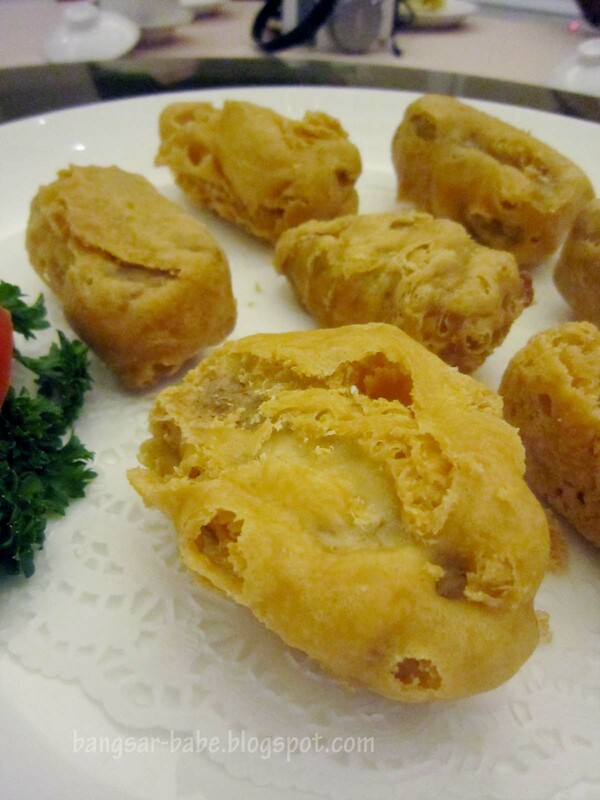 The award winning chef for Li Yen is Chef Leung Kwai Hong, who has about 50 years of cooking experience. Like most Chinese New Year set menus, we started with the prosperity yee sang. This yee sang was lightly flavoured with a natural sweetness from the vegetables and fruits. 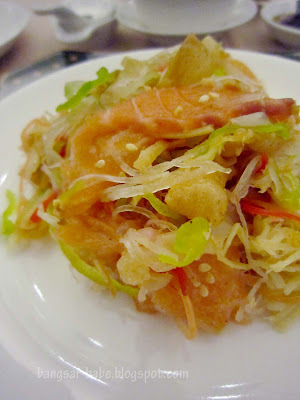 They were generous with the raw salmon — thickly sliced with a tender texture. 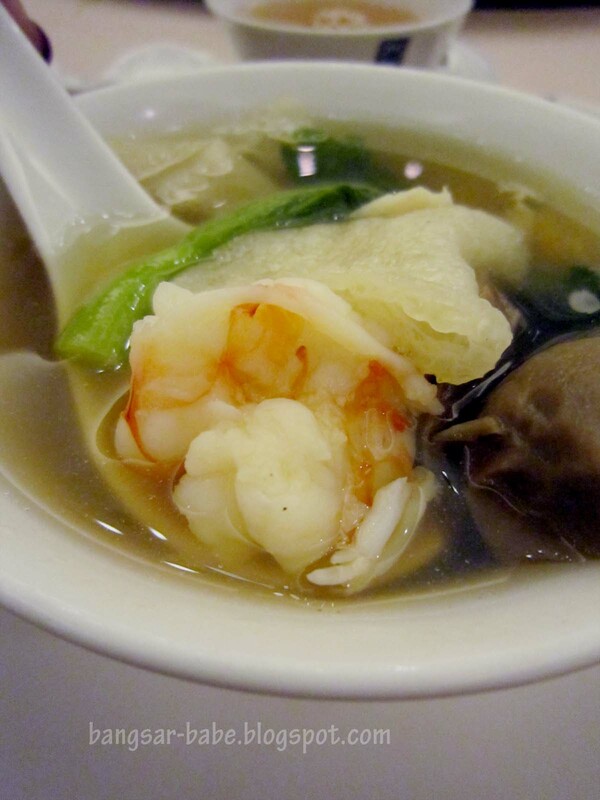 I liked the Double-boiled Assorted Seafood Soup with Bamboo Piths. Chinese chefs often talk about “xian wei” also known as umami. 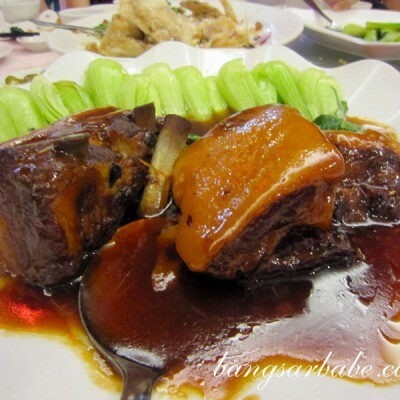 This soup’s concentrated flavour came from the addition of pork bones. 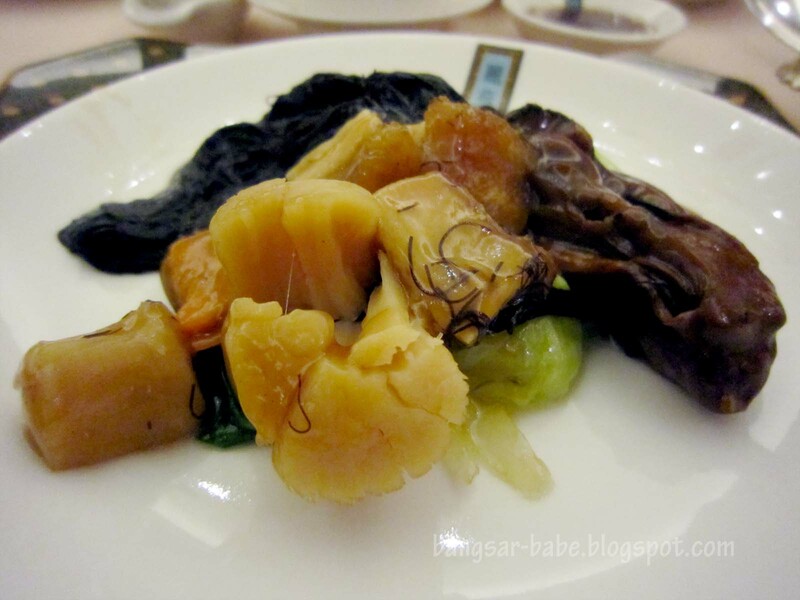 I dug into my bowl and found a large scallop, grouper fish slices, crab pieces, mushrooms and bamboo piths. Very tummy-warming, this one. 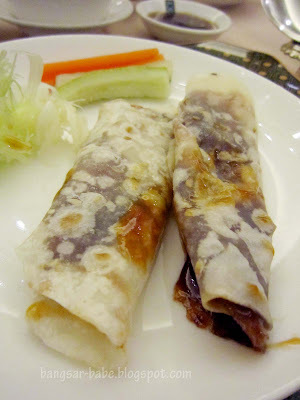 The Peking Duck with Steamed Sesame Pancakes was rather good — the duck was carved on the spot, and its crispy skin was then drizzled with sweet sauce and wrapped with the sesame pancake. One was not enough. I ate three! Steamed Patin Fish with Superior Soya Sauce had a light flavour, and the fish was fresh and firm. 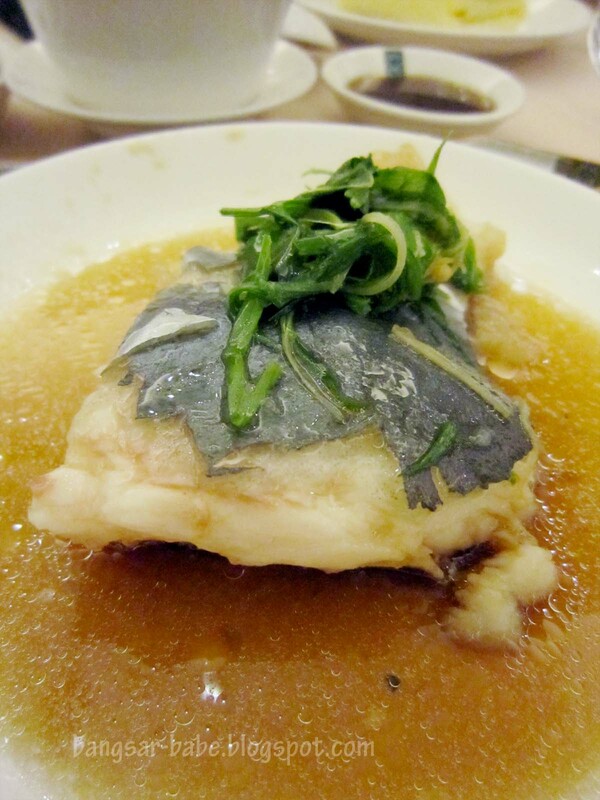 However, I didn’t care much for this as fish was never my favourite dish. 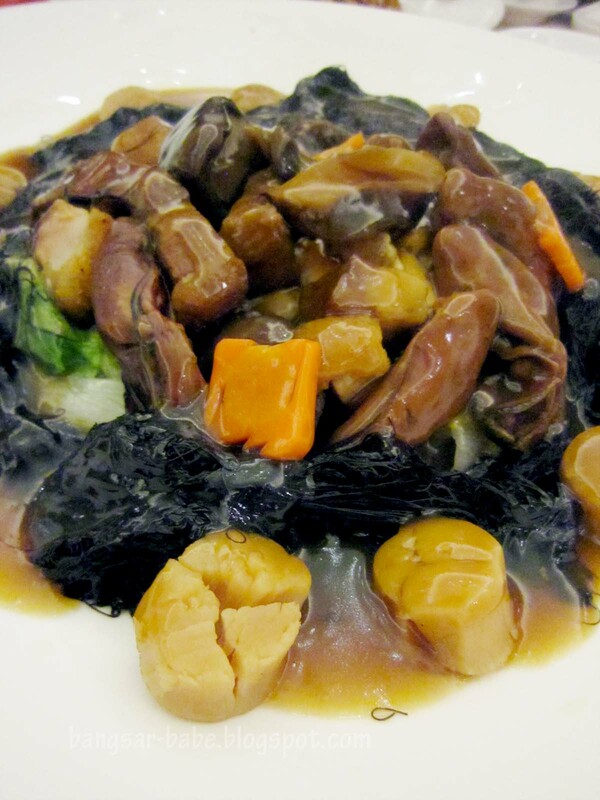 The Braised Dried Scallops with Dried Oysters and Sea Moss is a common Chinese New Year dish. I’m not a fan of sea moss, but the scallops and oysters (imported from Hong Kong) gave this dish a hearty flavour. 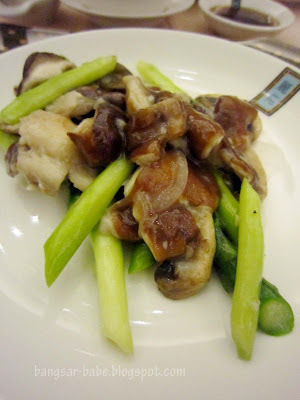 I thoroughly enjoyed the Stir-fried Assorted Mushroom and Asparagus. This was a simple dish, but it’s the simplicity of it that I liked. 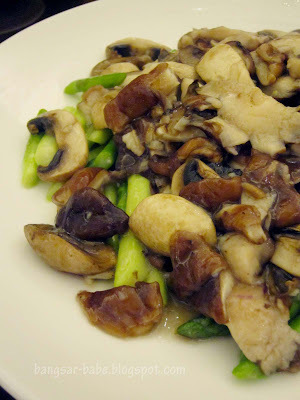 Mum cooks this very often, as she loves asparagus and mushrooms. 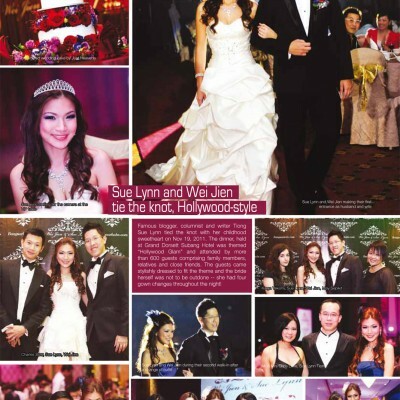 But Chef Leung does it better. 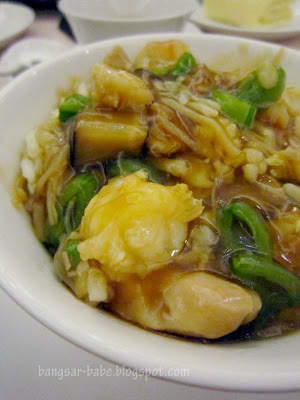 *grins* This Hokkien Fried Rice is something I wouldn’t mind eating every day. I love eating my rice with plenty of gravy and this dish was exactly that. 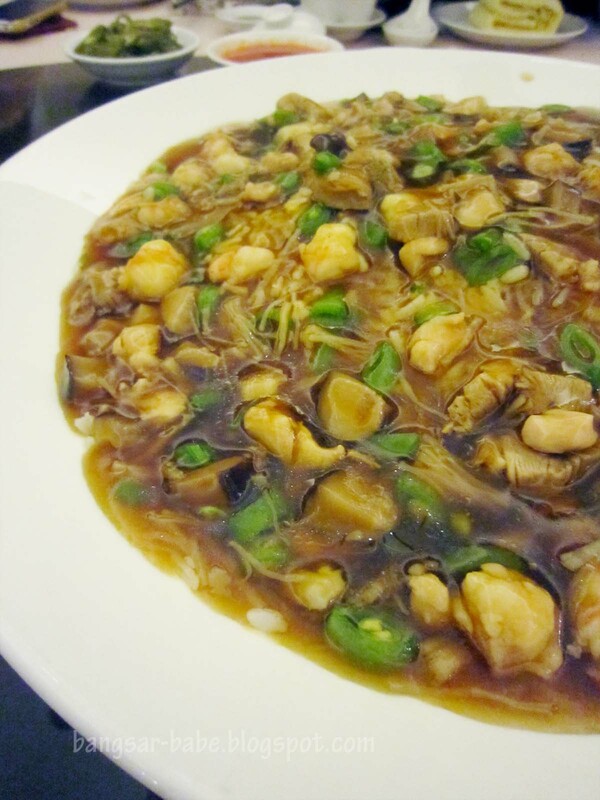 The rice was cooked with chicken, duck meat, mushrooms and scallop, and soup starch was added to bind the flavours together. Our last dish that night was the Deep-fried Yam with Lunar Cakes (nian gao). This was crisply fried and very moreish. A pity there was only one piece for each of us. Dinner was good. 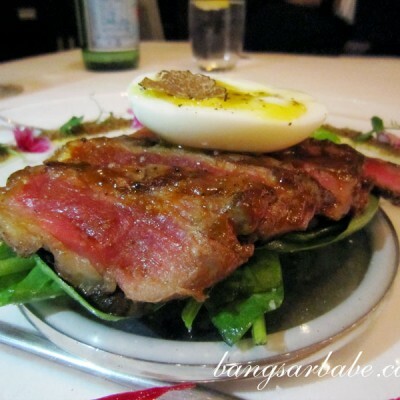 I liked that the food wasn’t oily or salty; ideal for those who prefer healthier dishes. Thanks Tim and Meena, for the invite. I had a great time! *This special festive menu is available from Jan 20, 2011 till Feb 17, 2011 (not available on Feb 2, 2011). 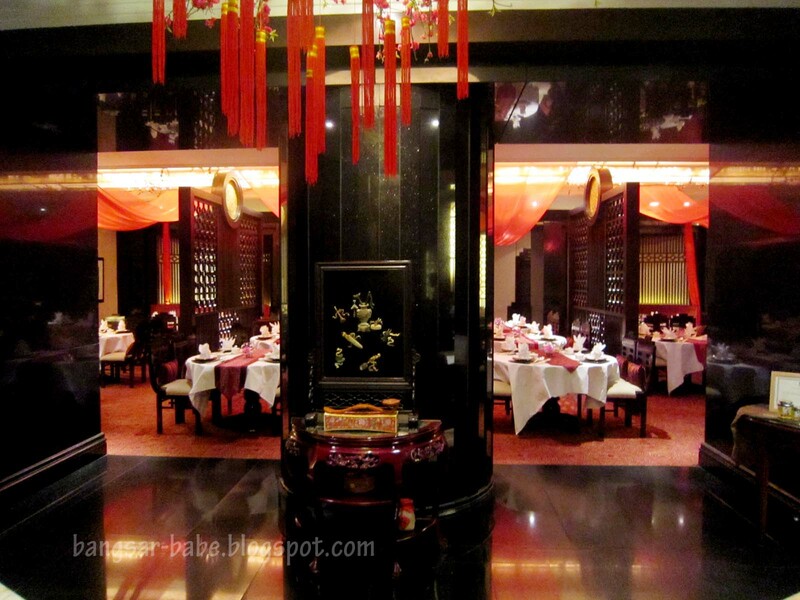 The set is priced at RM888++ per table of 8 pax, and is only for Standard Chartered credit card holders. 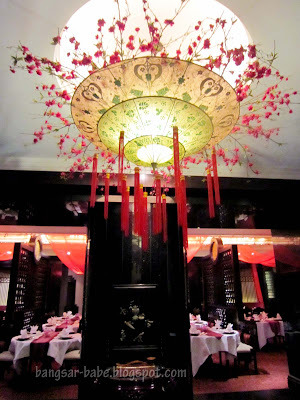 Verdict: Delicious yet healthy Cantonese dishes. The special festive menu is good value for money, considering the quality ingredients used. Great to share different dining experiences on the web. Peking Duck is a good dish to have, as the usual duck dishes during CNY feasts would be the waxed ones. The Hokkien Fried Rice looks really unique! 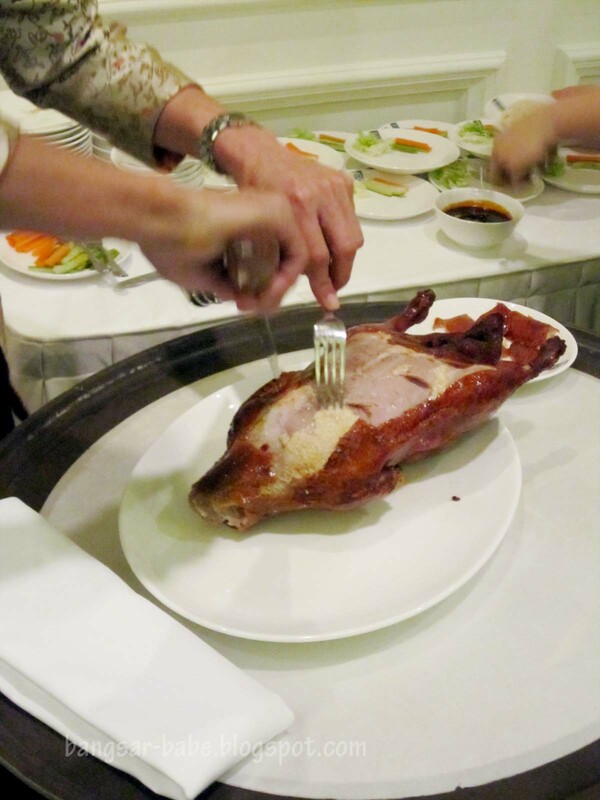 And the Peking Duck looks yum!! 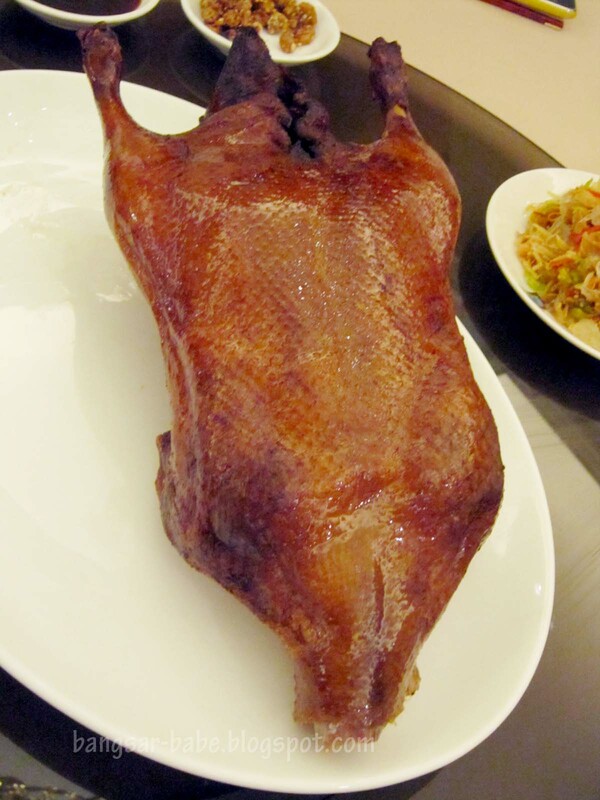 the duck look so divine! leo – Time to apply for one? Baby Sumo – Very unique. And yeah, that was one of the nicer Peking ducks I've eaten in KL.